Since we’ve already covered the gaming updates from Dell, it’s only fitting to check out their consumer offerings which are just as exciting. At this year’s CES, Dell has something for everyone. Whether it’s portability, elegant design or high performance, Dell might have a PC for you. Let’s take a look at the announcements! For everyone looking for both portability and high-performance in a sleek form factor, the new Latitude 7400 2-in-1 delivers. It is the world’s first PC to use a proximity sensor enabled by Intel® Context Sensing Technology1. This 2-in-1 PC features ExpressSign-in which detects the user’s presence, wakes the system, and immediately scans for facial recognition to log into the PC with Windows Hello. Once the user steps away from the PC it will recognize that they have left and will lock itself to preserve battery life and maintain security. The Latitude 7400 2-in-1 is the world’s smallest commercial 14” 2-in-12. It features a variable-torque hinge which allows it to be opened easily. Available in a stunning new Titan Gray machined aluminum finish, it is also the first Latitude to use Dell’s ocean-bound plastics packaging. 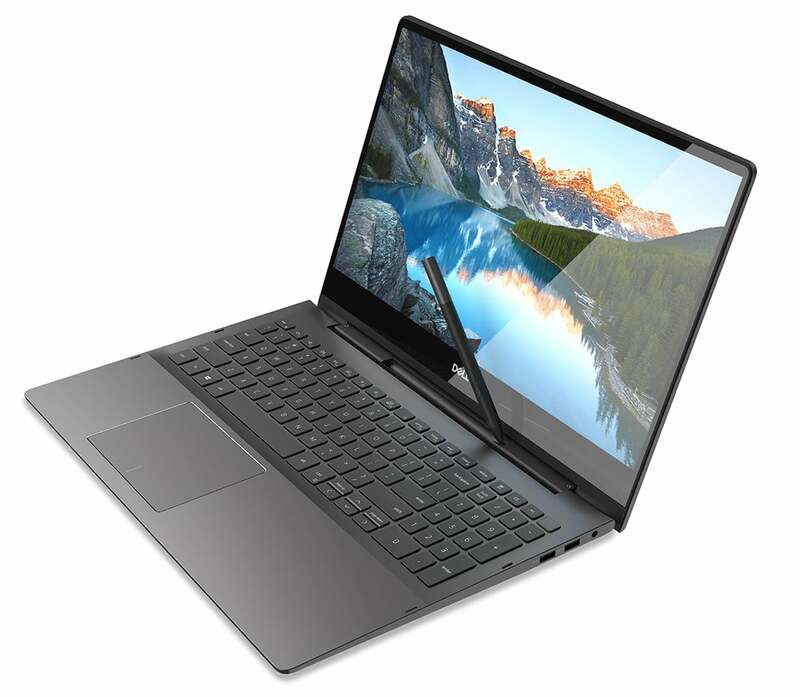 Since Dell’s engineers refused to sacrifice performance, battery life, connectivity, ports or IT-trusted features, the Latitude 7400 is expected to deliver the longest battery life in its class based on preliminary testing. Targeted for up to 24 hours of run time3 on a single charge, the Latitude features Dell’s ExpressCharge which charges the battery back up to 80% in just an hour4. 1Based on Dell internal analysis, November 2018. 2Based on Dell internal analysis, November 2018. 3Battery life is based on preliminary testing of Latitude 7400 2-in-1 using the Mobile Mark 2014 benchmark test available at http://www.bapco.com. Test results are for comparative purposes only. Actual battery life may be significantly less than the test results and varies depending on product configuration and use, software, operating conditions, power management settings, and other factors. Maximum battery life will decrease with time. 4Based on Dell internal analysis, December 2018. Dell has made updates to its award-winning 13” thin and light XPS 13 with a new top-mounted webcam for a better video experience as well as a new frost color option. The XPS 13 is sought-after by both professionals and consumers alike. At just 2.25-mm, it features Dell’s smallest ever HD webcam and enables the XPS to maintain its InfinityEdge display. Dell has chosen to move the camera to the top of the display which allows for an overall better video experience. The XPS 13 is also the first notebook in Dell’s portfolio to support Dolby Vision®. Dolby Vision transforms the entertainment experience with ultra-vivid picture quality bringing users incredible brightness, contrast, and color. The end result is a refined, lifelike image that will make you forget you are looking at a computer screen. Since it now contains the latest quad-core 8th Gen Intel ® Core™ processors, the XPS 13 is still the most powerful 13” laptop in its class5. 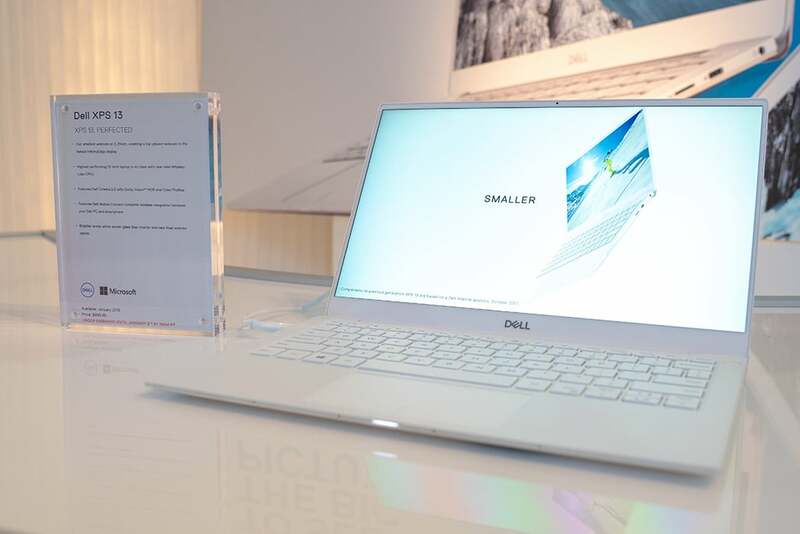 The XPS 13 offers a brighter arctic white woven glass fiber interior as well as a new frost anodized exterior color option, which adds to its rose gold, white, black and silver versions. The new 13” and 15” Inspiron 7000 2-in-1 devices feature the latest 8th Gen Intel® Core™ processors as well as an upscale design with an aluminum body, narrow borders and a diamond-cut finish on the click pad edge. Its first-of-a-kind garage in the hinge6 provides storage for the Active Pen thus making it accessible no matter how it is used. The Inspiron 7000 2-in-1 is designed with form and functionality in mind. The new keyboard integrates the power button and fingerprint reader into a new power key making the reader a part of the keyboard itself. This integration allows for the addition of a number pad within the narrow-border of the 15” Inspiron 7000 2-in-1 for the first time for Dell. The new Inspiron 7000 2-in-1 devices also feature Adaptive Thermal technology. This enables the system to adjust its performance profile based on how a customer is holding it. The device changes power profiles to generate less heat when watching movies on a lap and ramps up to full power for productivity on a desk. 6Based on Dell internal analysis, November 2018.